Wildlife Friends Foundation Thailand is a charity that rescues, cares for and rehabilitates any animal in need. From the rarest iconic species in Thailand to the most common, the WFFT pays special attention to them all. All print proceeds go to the WFFT, who care for all these rescued animals. Nature never ceases to amaze, and just when you think you've seen everything it will show you something surprising. 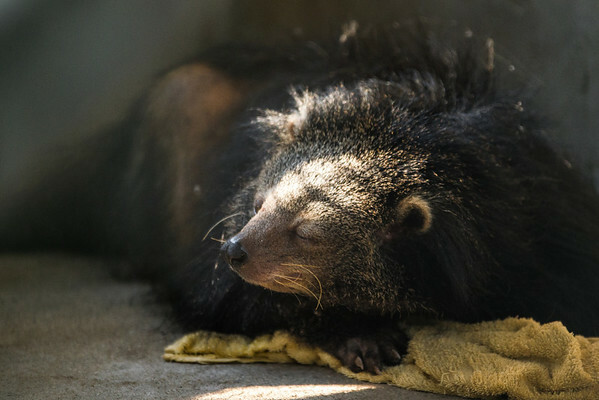 Binturongs (also known as 'bearcats') like this one rescued by the WFFT, give off a very strong smell of buttered popcorn!